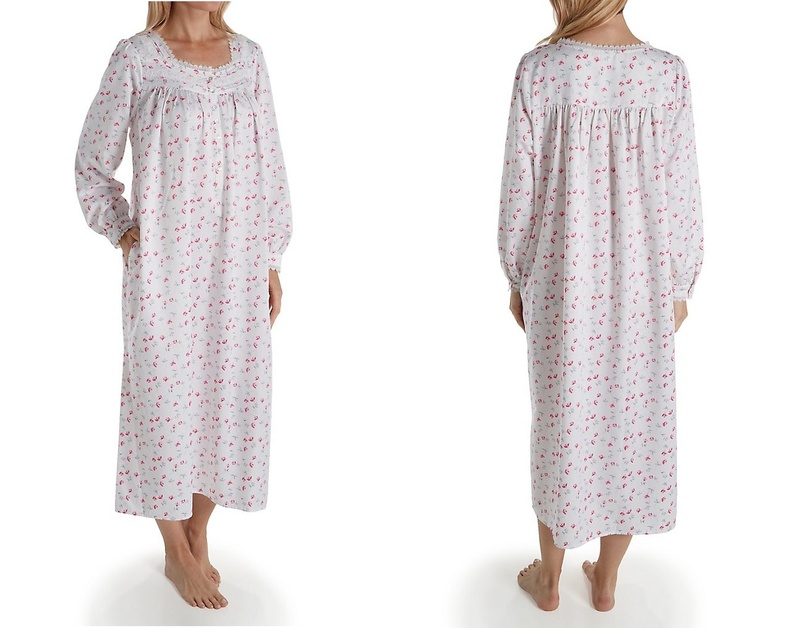 Brushed Back Satin Nightgowns - when it comes to women’s sleepwear that’s cozy and warm, night gowns in beautiful brushed back satin are at the top our nightwear list. Offering an outer layer of woven satin and an inner layer of warm micro fleece cuddleskin, this sleep wear is designed to keep the warmth in and the cold out. From luxurious long nightgowns to sensational nightshirts and everything in between, there are a multitude of satin styles and colours for every occasion, size, and shape. Pear Shape – when shopping for a pear shaped silhouette, the most important thing to consider with nightgowns, pajamas, or any kind of sleepwear is balancing a smaller top half with a fuller bottom and hips. A well-designed style is the key to looking great, so narrow your search to ladies nightgowns with neckline or sleeve details that draw the eye upward. Details like puffed sleeves, ruffled necklines, appliques, lace, or smocked necklines will keep the focus on the top half of the body and balance out the fullness of the hips, creating a beautiful hourglass shape that’s just as poised as it is beautiful. Curvy Shape – Full figured women can look amazing in brushed back satin nightgowns. A little known secret - the key to dressing well for women with curves and plus sizes is to not drown themselves in too much fabric or sleepwear sizes that are too large. With a curvy shape it’s easy to commit the faux pas of thinking that one needs to cover themselves in tons of fabric from head to toe. Petite Shapes – from short nightgowns to long floor sweeping styles, petites look fantastic in a great range of nightwear styles. Again, the trick is not to swath a smaller shape in too much fabric. 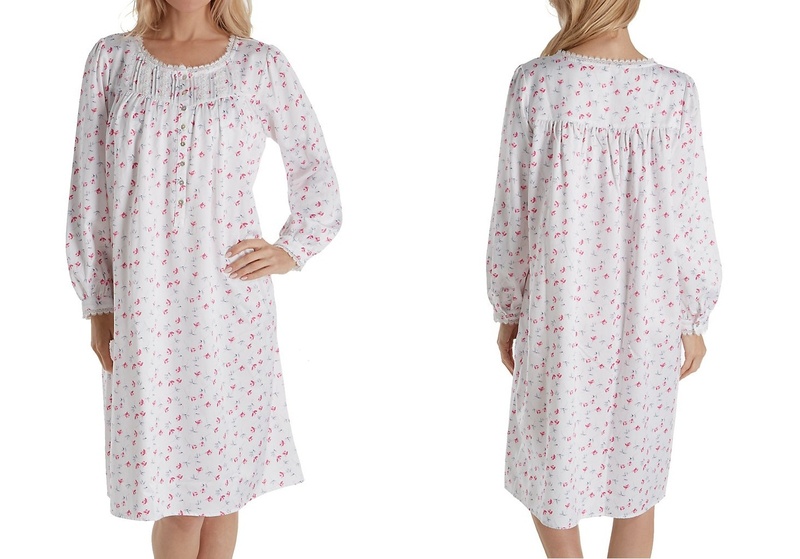 Petite frames can quickly appear overwhelmed in any nightwear that’s too large. Instead, it’s best to focus on elongating the body with shorter hemlines, and styles with dimensions that are proportionate or made for a smaller silhouette. Anything that draws the eye in an upward motion will make petites look longer and leaner. Satin is a tightly woven fabric with very little stretch. This is important to keep in mind when considering sleep wear sizing. Hourglass Shapes – hourglass shapes are lucky enough to wear almost any style of satin nightgown or sleepwear that they choose, but there are a few tips to keep in mind that will show off a curvier silhouette to advantage.